Kick off the New Year with Toxic Chakra, a collection of the fiercest and funniest women in ColdTowne’s recent graduating classes who want to find the connective tissue that binds us all together through truth, comedy and emotional realization. Each week of this Main Stage ColdTowne Theatre production will feature a different topic with a letter written by Toxic Chakra girl to her younger self. Anyone who has ever felt self-conscious, or lost in life or in love will appreciate this show revolving around self-reflection and audience participation. With a selection of rotating guest stars sharing tales of personal motivation and pieces of advice pulled from audience members about growing up. 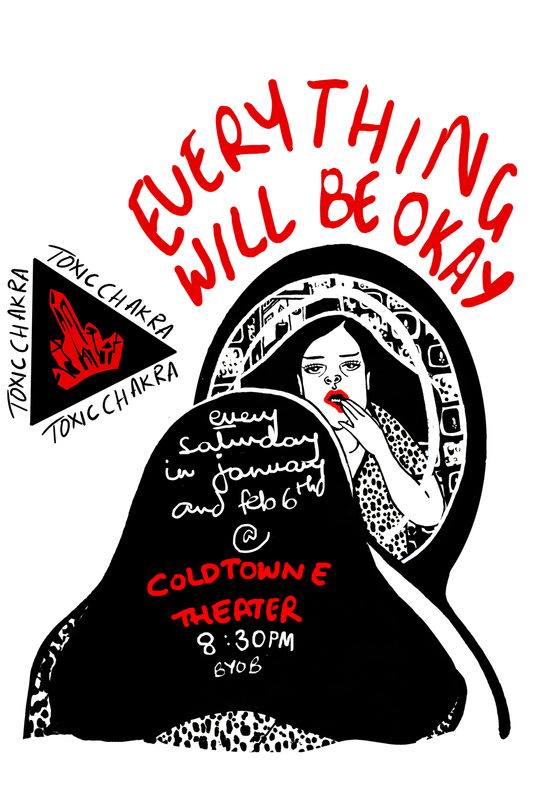 Everything Will Be OK will leave you empowered, motivated and feeling aligned AF in Toxic Chakra’s signature absurd improvisational group energy that is determined to create space for laughter, tears and genuine change!